This two-piece suit is perfect for women who love a splash of color. 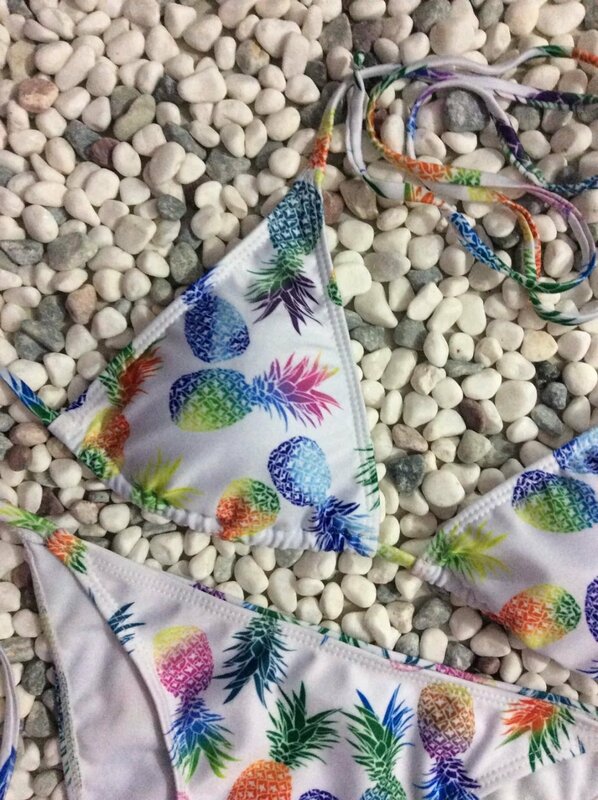 This string bikini has a white base that is covered with several multi-colored pineapples. 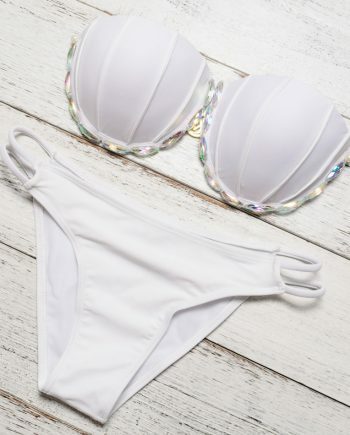 If you are looking for a suit that is both cute and gives your skin maximum exposure to the sun, this is the suit for you.